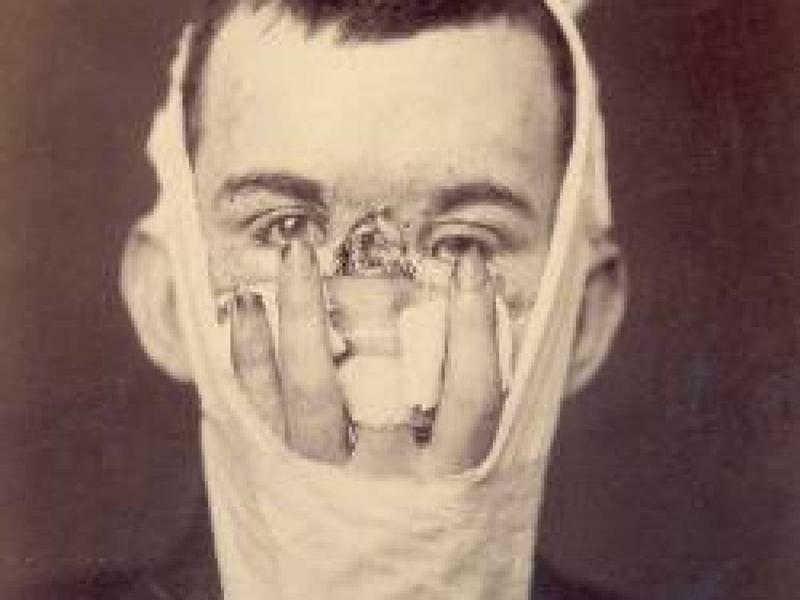 Plastic surgery skills were first mastered by Sir Harold Gillies, a talented surgeon. 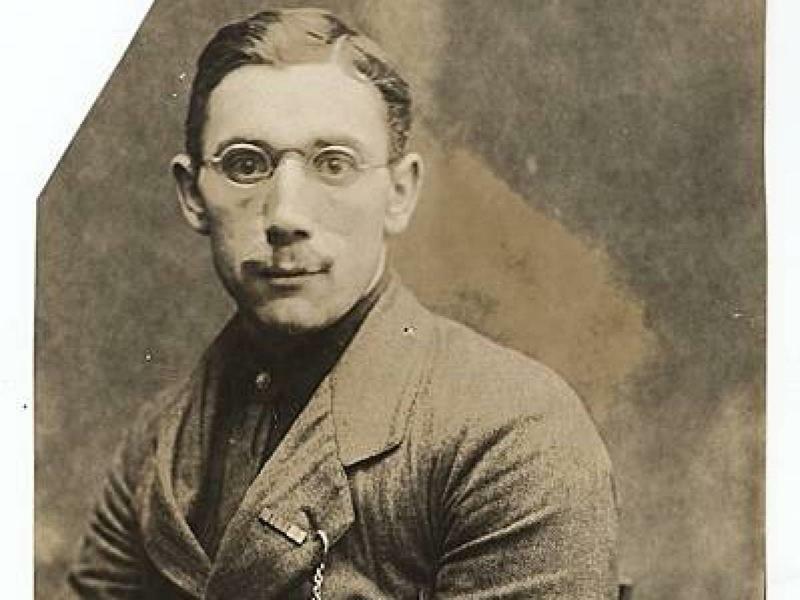 Gillies wanted to help soldiers who’ve been disfigured fighting the World War I battles in the front lines. 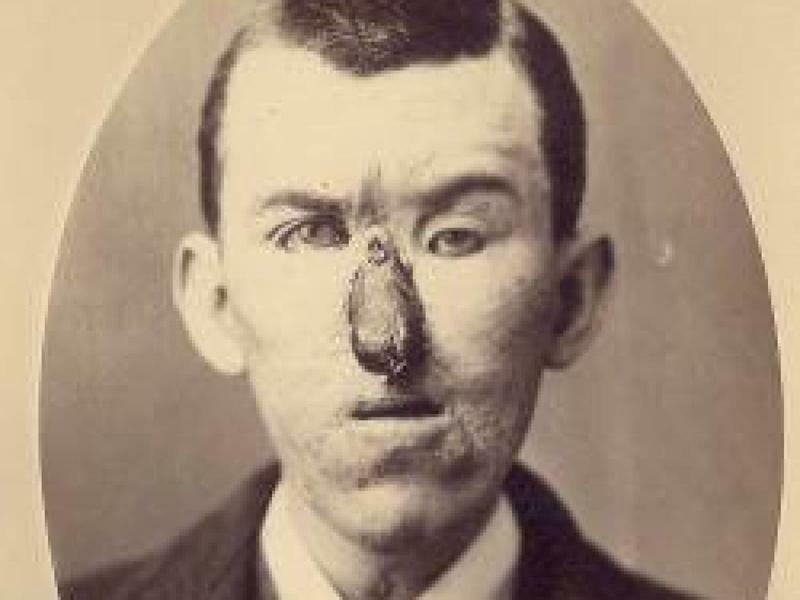 This New Yorker lost his nose in an accident. 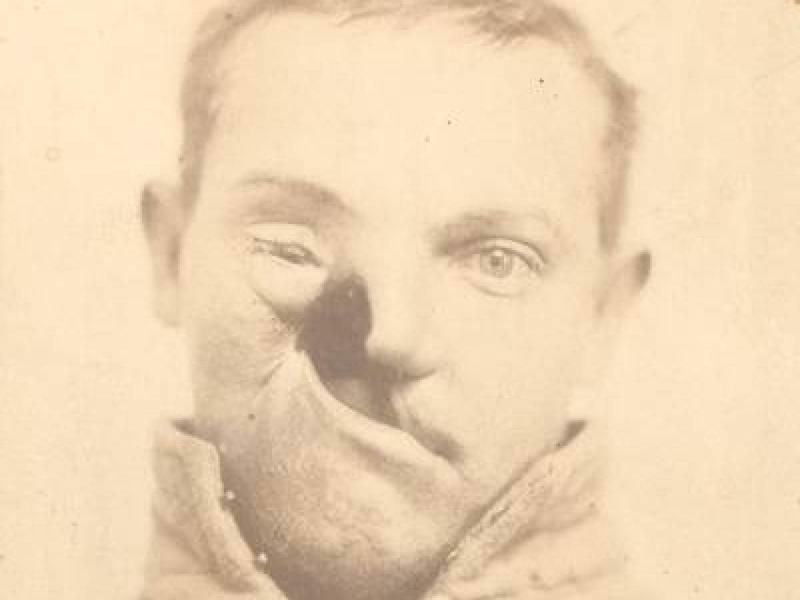 Bellevue Hospital's Dr. E. Hart switched out the empty space where his nose would be with one of his fingers in 1880. The results weren't that subtle. 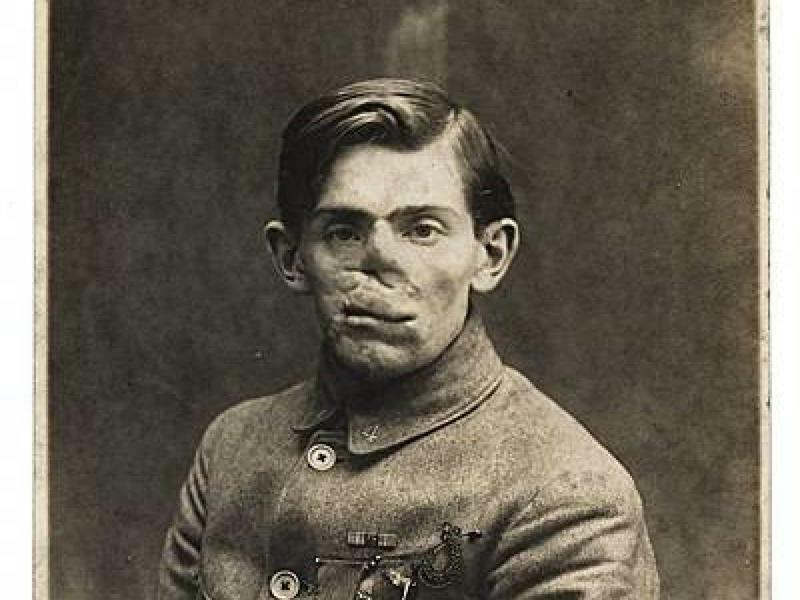 This WWI veteran lost the bottom half of his face in battle. 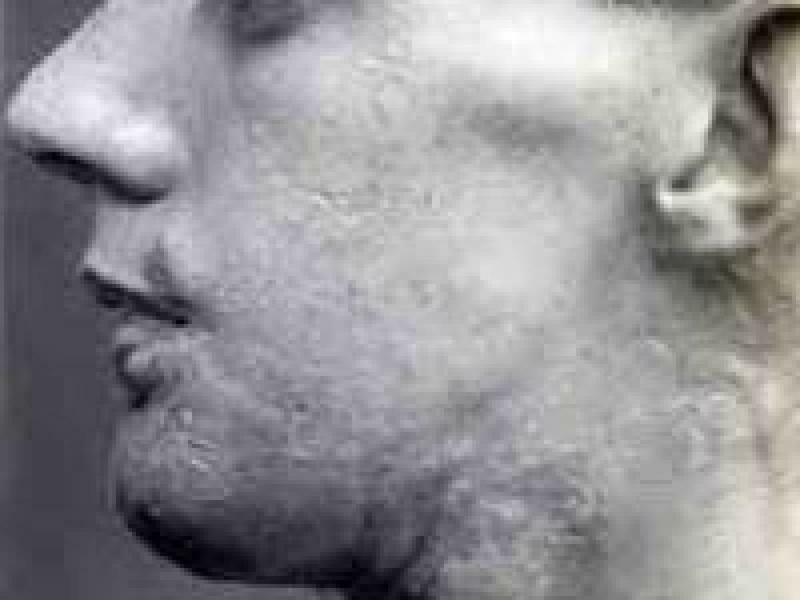 He underwent one of the world's first "tube pedicles." It's where they trick skin from one area of your body into growing towards another area via a flap of skin stretched between them like a tube. 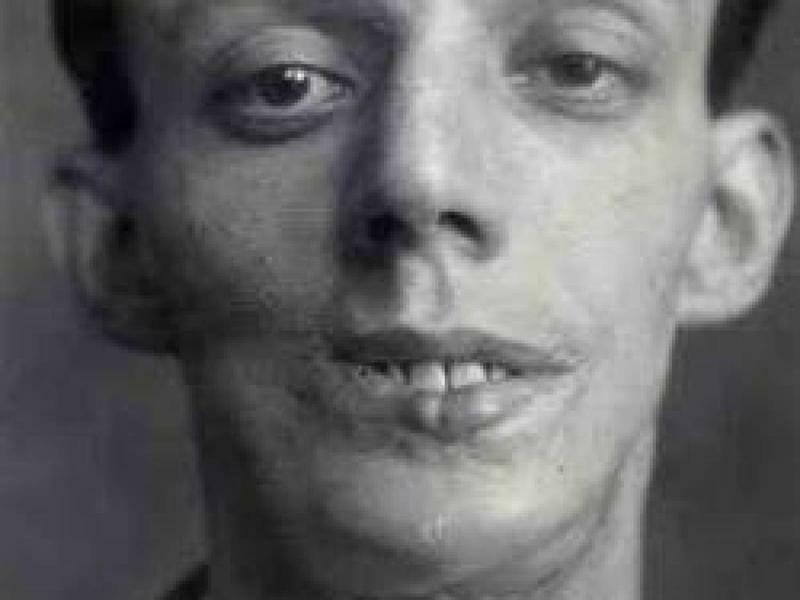 Once he had grown more flesh on his face, they rebuilt the bottom part of his mouth with a metal frame. The results look remarkable from the side. Although slightly less convincing from the front. 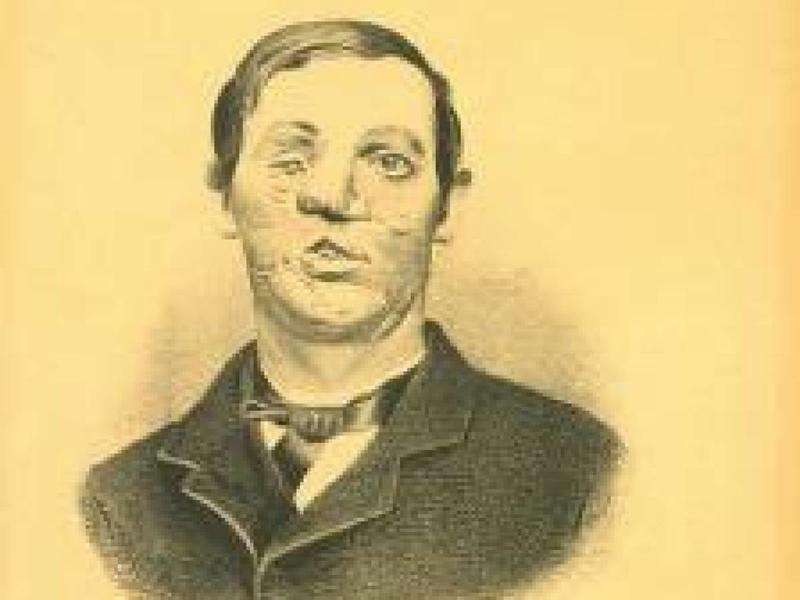 Carlton Burgan fought in Maryland's Purnell Legion during the Civil War. 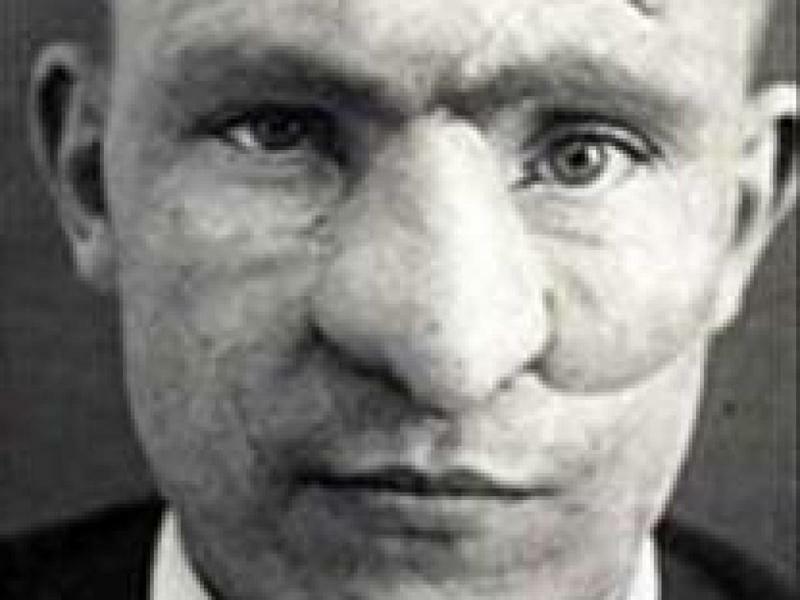 Mercury poisoning resulted in the amputation of part of his face. 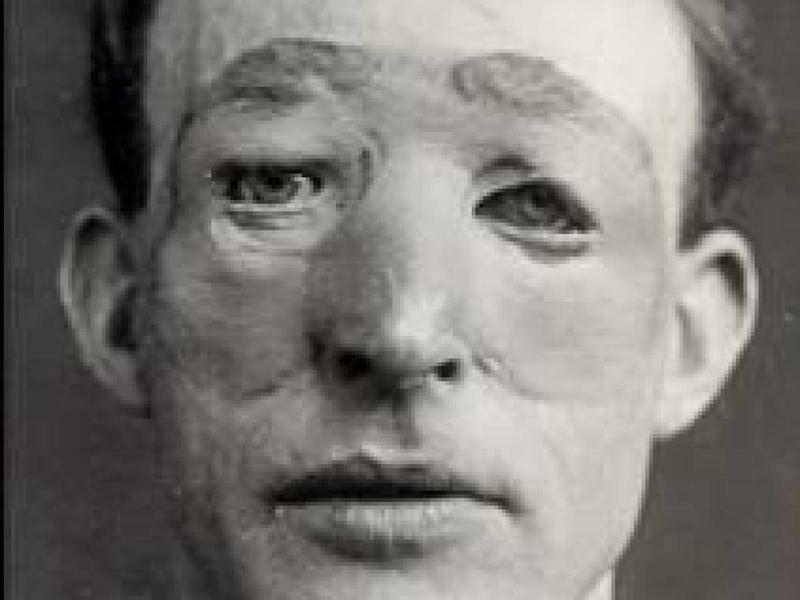 Pioneering plastic surgeon Gurdon Buck did the best he could in the reconstruction. 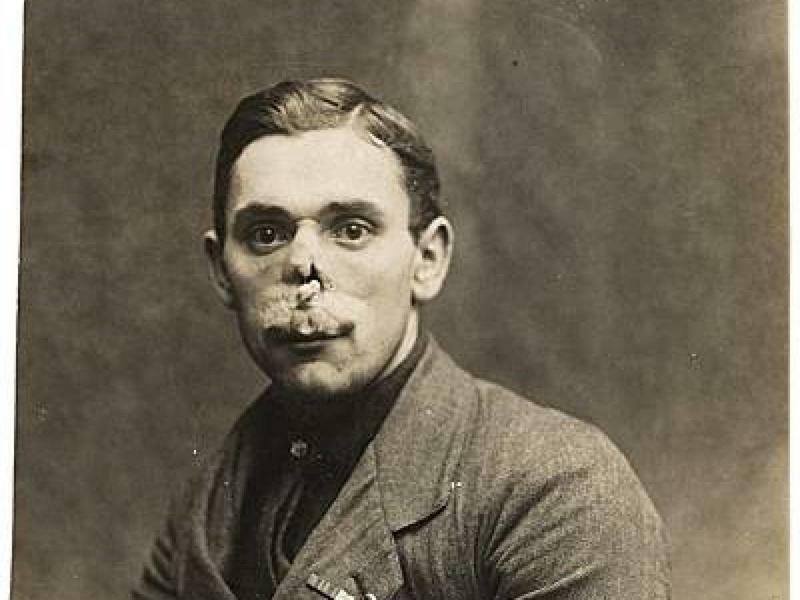 British soldier William Spreckley lost his nose in battle during the Great War. This is him being discharged after the first round of a tube pedicle skin graft pulling flesh down to his nose area. 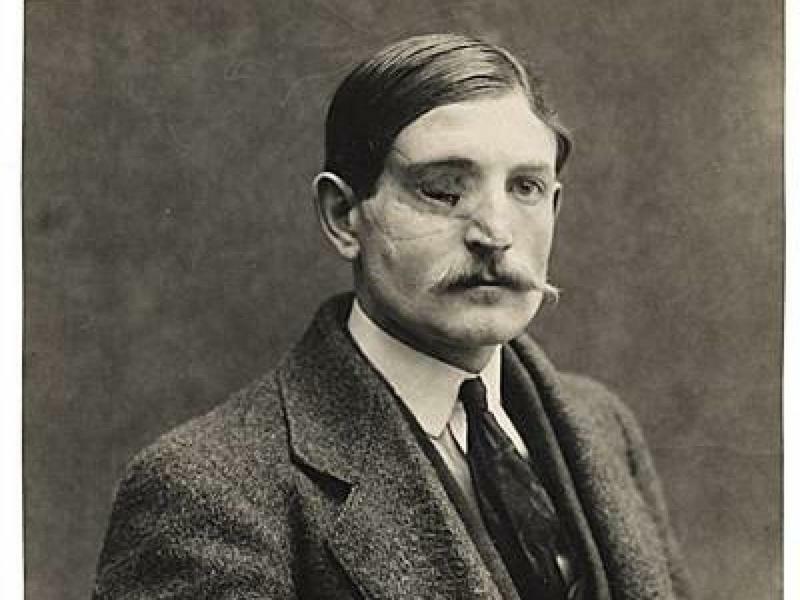 Dr. Harold Gillies at London's Queen's Hospital operated on William Spreckley, as well as 11,000 more disfigured soldiers during the war. 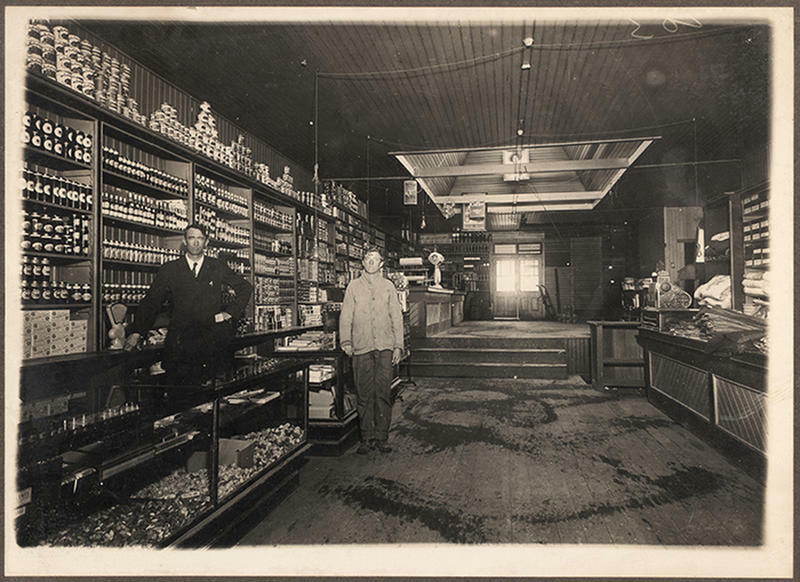 Many of the techniques were experimental, but Gillies team became more proficient at their work—resulting in success stories like Spreckley. 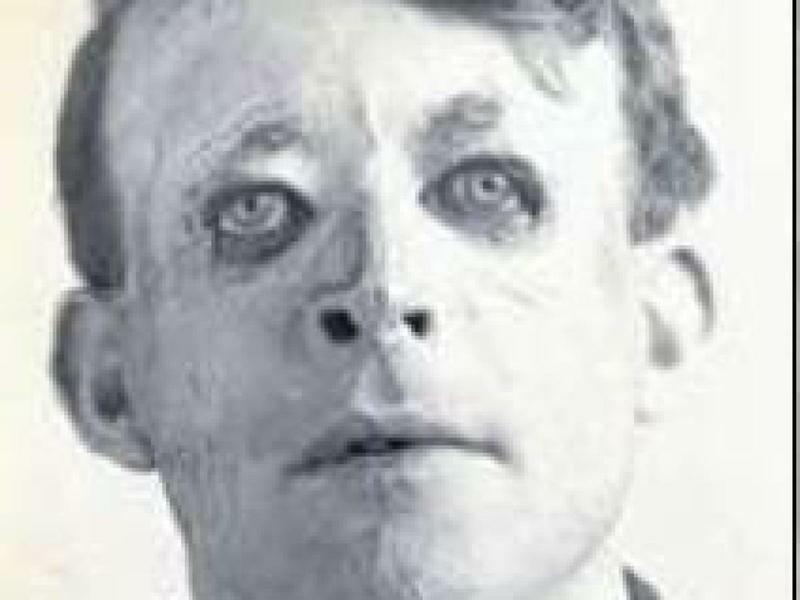 Spreckley's story at the end of WWI is a far cry from the earlier experiments at Queen's Hospital, like sailor Walter Yeo who came into the hospital looking like this. Yeo required a huge facial reconstruction. First they grafted skin onto the lost areas via the tube pedicle method. As it healed, it looked a bit like a mask. In the end, Yeo got his face...though it was a very Phantom of the Opera version of one. 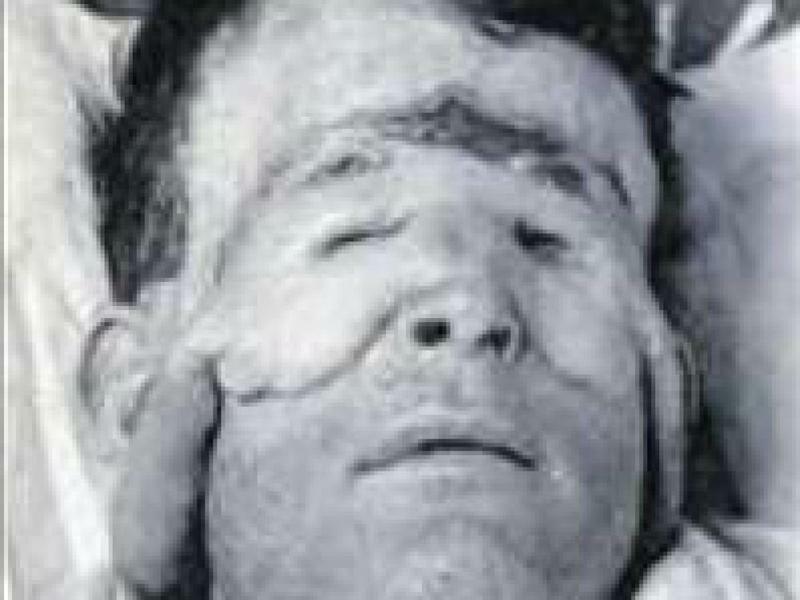 Other soldiers not lucky enough to be taken to one of the early hospitals sussing out plastic surgery or not deemed deformed enough to warrant the then-controversial procedures, were offered a quick alternative: a mask. 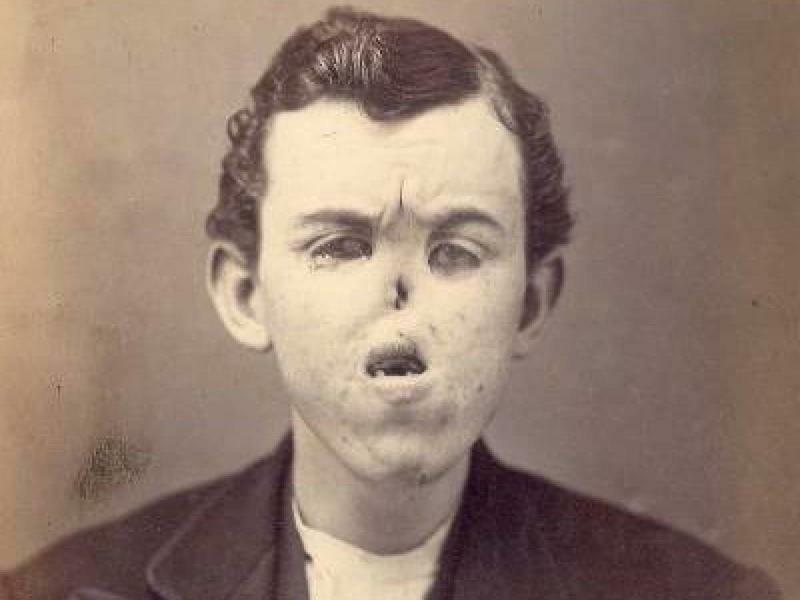 This young soldier lost part of his mouth and nose in the war. 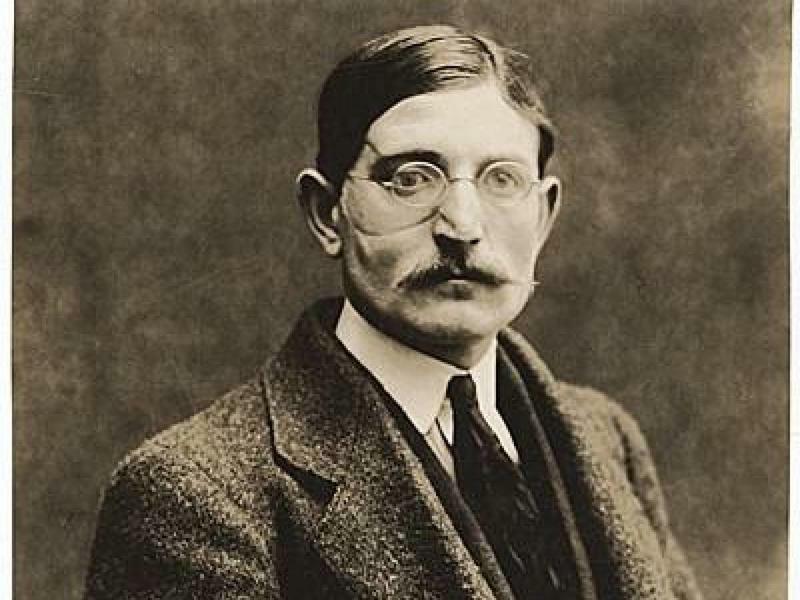 They gave him an early version of a Groucho mask that replaced part of his nose and covered up the mouth wounds with a large mustache. 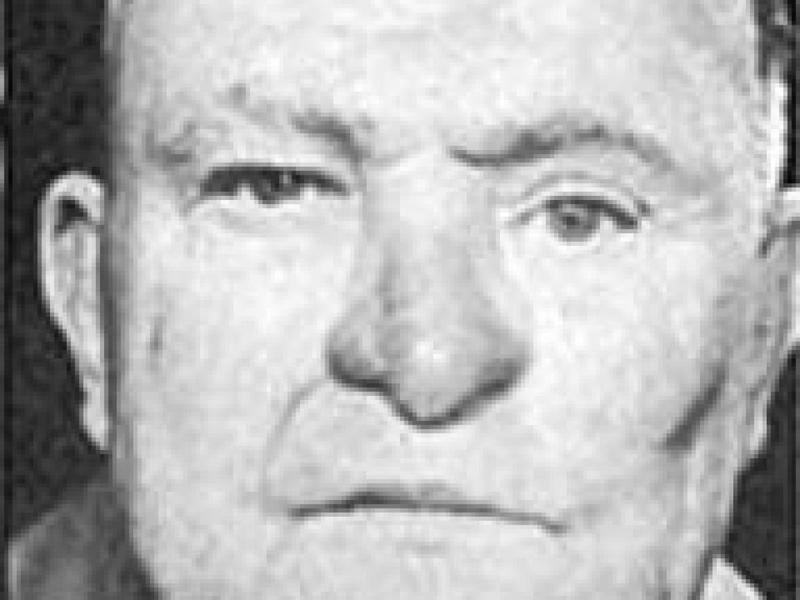 Many of the masks used were the work of Red Cross leader Anna Coleman. 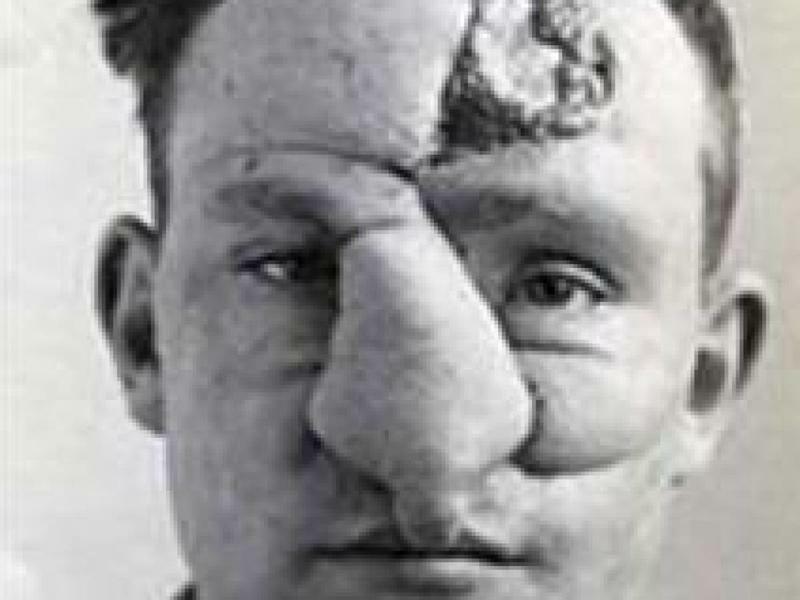 She built the reconstruction masks for this soldier's rhinoplasty. 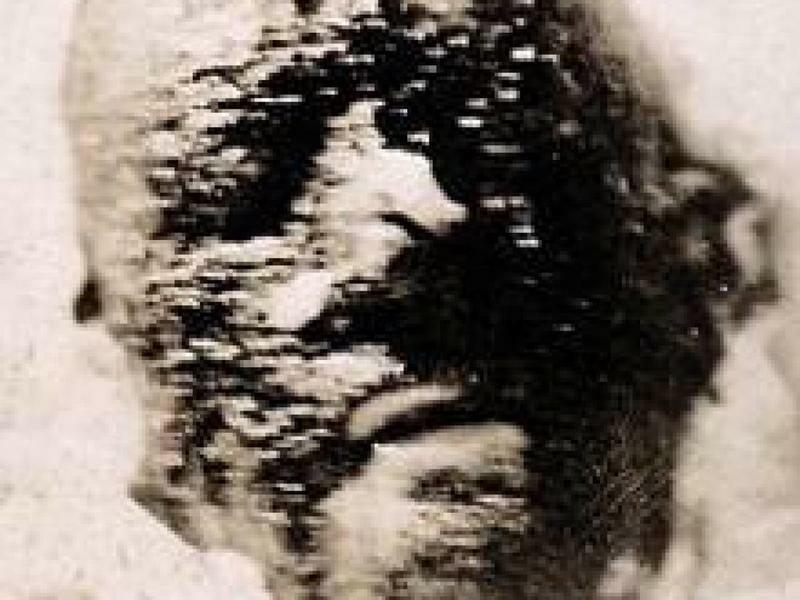 And she created the rather convincing illusion of full faces with her then-revolutionary masking techniques. 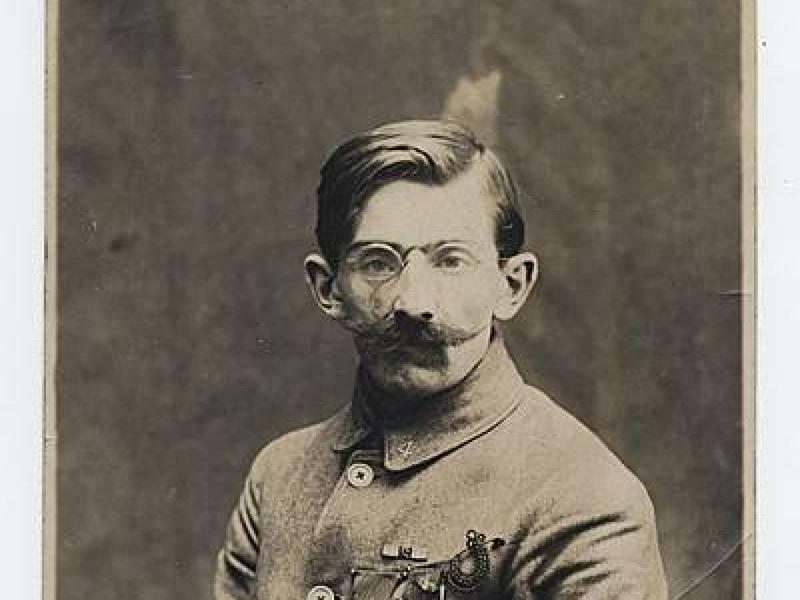 Even difficult cases like this gentleman soldier's missing eye were fixable with a bit of creativity on her part. It's better than an eye-patch. 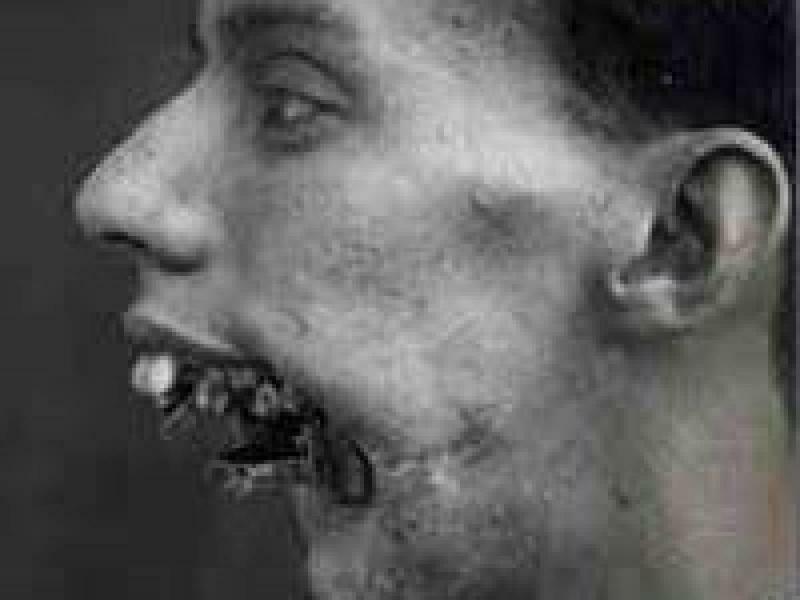 And stop-gapped the facial reconstruction for most soldiers until procedures improved and were more accessible to the injured parties. Your posted blog is really very useful. Visit Cosmetic Surgery Center for good treatment in Houston, Texas.